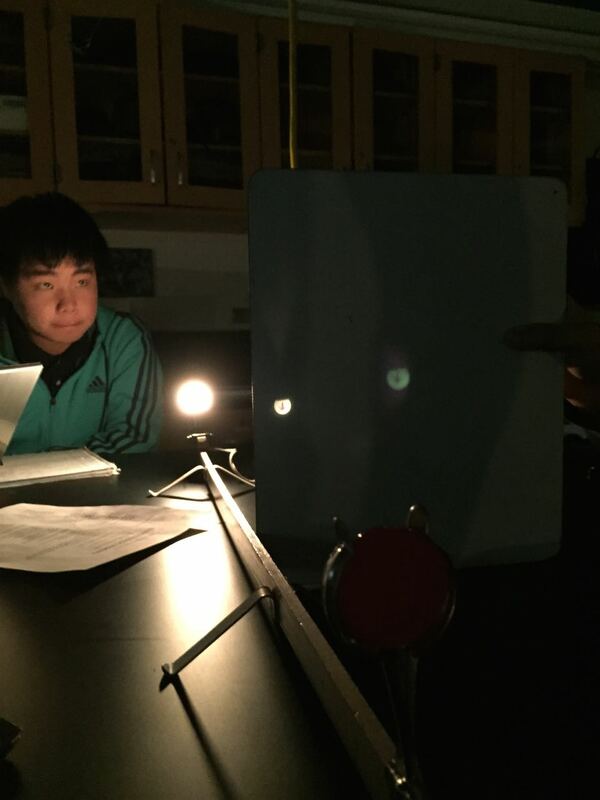 Today, AP Physics 2 students determined the properties of images formed by spherical mirrors. I used the same simple equipment as I used to use in my Honors Physics course (meter stick, meter stick holders, mirror holder, lightbulb, small whiteboard) and terminology (for images: location, orientation, type, and size) but eliminated the cookbook lab procedure. The students worked through the lab determining the properties of images faster than with the cookbook lab and with greater understanding.